KATHMANDU: In the occasion of this festive season Dashain, IME pay introduces the scheme of cheap and quality air travel only at RS. 10. This scheme is brought by IME Digital Functioning under IME group. 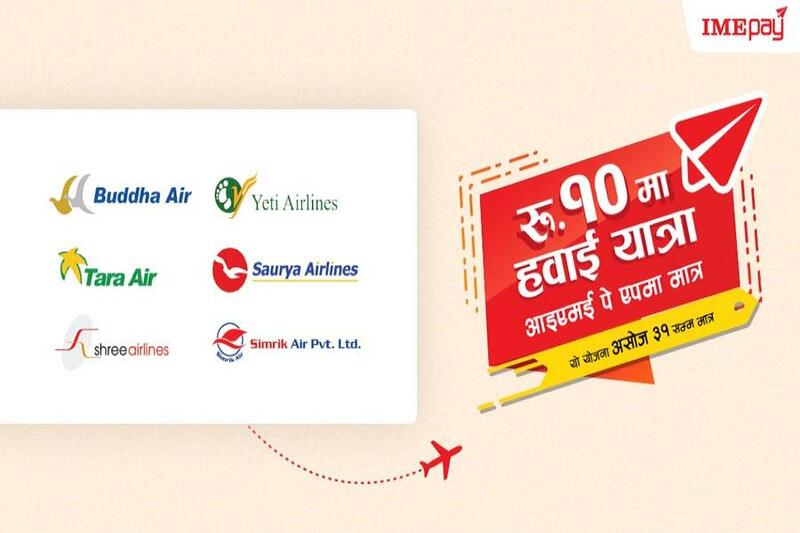 Airlines like Buddha Airlines, Yeti Airlines, Simrik Air, Shree Airlines,Tara Air, Saurya Airlines are taking up to this scheme. With the help of this scheme, Everyday six lucky winners paying through IME Pay will get the chance to travel from the mentioned airlines only at RS. 10. The rest of the money will be returned in their IME wallet as a gift. This scheme is valid from 3rd - 17th October.